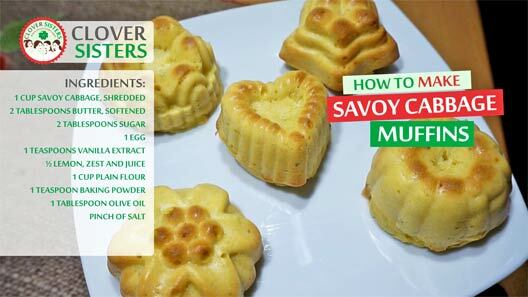 This savoy cabbage and lemon muffins recipe is a perfect combination of healthy and delicious, and nice way to get your kids to eat more vegetables. 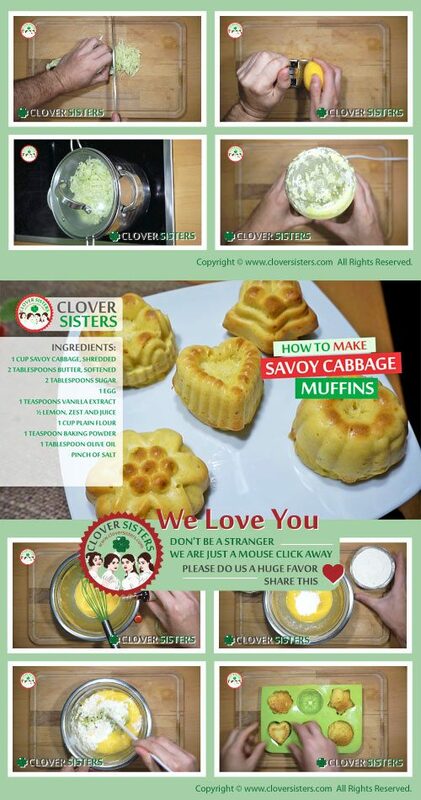 Steam or boil Savoy cabbage for a few minutes to tender and blend it. Whisk the butter with sugar, then add gradually the egg, vanilla extract, zest and savoy cabbage while whisking. Fold in the flour, baking powder and salt to taste. Grease the cups with olive oil and fill them to 2/3 full. Bake into oven preheated to 325F (180C) for about 20 minutes.